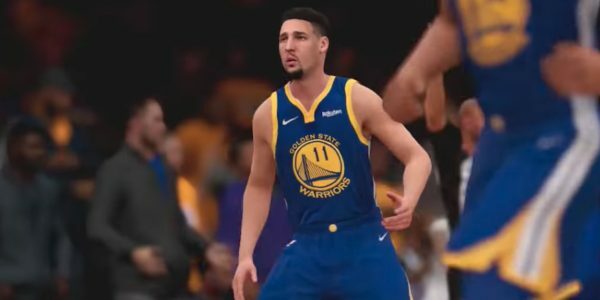 Over the past day or so, there have been several NBA Live 19 changes for the basketball title. Since the All-Star Game teams were officially revealed on Thursday, it meant it was time to address that. In addition, the latest content updates improved several player likenesses and addressed a few gameplay issues. They’ll involve steals and powerful shooters in the game. Here’s a look at what all was included in the latest NBA Live 19 content update which may check in around 9 gigabytes, per user tweets. On Thursday night, NBA All-Star Game captains LeBron James and Giannis Antetokounmpo drafted their entire rosters for the game next Sunday. James had first pick in the first round amongst starters and added Kevin Durant, while Giannis followed that by selecting Stephen Curry. The rest of the starters included James Harden, Kyrie Irving, and Kawhi Leonard for Team LeBron. Team Giannis also has Paul George, Joel Embiid, and Kemba Walker for its starting lineup. LeBron also added Anthony Davis as his first reserve player while Giannis took his teammate Khris Middleton. The entire team rosters as chosen by LeBron and Giannis are shown in the tweet below. These will officially be part of the game which also features some cool NBA Live All-Star in-game events to check out. Several of those All-Star players shown above are also part of the NBA Live 19 player likeness update. In particular, LeBron James received an update for his tattoos as did Anthony Davis and the injured John Wall. There were hairstyle updates for Klay Thompson and Kawhi Leonard. Each of those players also has facial hair updates as do Stephen Curry and Kyrie Irving, just in time for the All-Star Game. Here’s the new Klay Thompson look via @NBALiveTHEONE’s tweet. Compare to the image up above for how Klay’s update is. In addition to the updated All-Star rosters, NBA Live now has the updated trades and buyouts. They’ve done a good job of that, as they had the Kristaps Porzingis to Dallas and Dennis Smith Jr/DeAndre Jordan to New York update pretty quick. However, the past several days had a number of deals go down. That includes moves like Marc Gasol to the Raptors, Nikola Mirotic to the Bucks, and Markelle Fultz to the Magic. They’ve covered all of the big moves including players who became free agents. They still list Nik Stauskas as a member of the Pacers, though, despite Stauskas’ release. Still, your favorite teams and opponents should have their new personnel in place once the game updates. Let’s face it, having realistic player looks is great, but having gameplay that isn’t too over the top or too underwhelming also matters a lot in sports simulation games. EA’s NBA Live team addressed a few important issues within the game with this Feb. 7 update. They tweaked gameplay for steals and “powerful shooters.” As far as steals go, the dev team reduced how many successful steal attempts gamers get. They also adjusted shooters who were “too powerful.” It isn’t expected to be a huge drop-off, but they note that they’ve “slightly reduced shot percentage” for top end shooters. There are also numerous gear updates, store updates, and rating updates for Court Battles players. See full details for the latest game update at the EA NBA Live forum post. Check out our NBA Live page for more of the latest news, information, and help with the game.